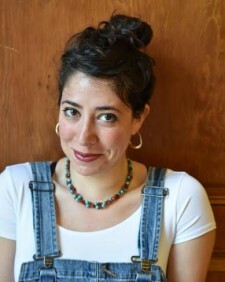 RACHEL CHAVKIN is a director, writer and dramaturg, as well as the founding Artistic Director of Brooklyn-based company the TEAM (theteamplays.org) whose work has been seen all over London and the U.K. including the National Theatre, the Royal Court, Old Vic, and multiple collaborations with the National Theatre of Scotland and the Battersea Arts Centre. Selected freelance work includes Dave Malloy’s Natasha, Pierre & the Great Comet of 1812 (Ars Nova, A.R.T., Broadway), Anaïs Mitchell’s Hadestown (New York Theatre Workshop, Edmonton Citadel, London’s National Theatre, upcoming: Broadway), Arthur Miller’s The American Clock (Old Vic), Matt Gould and Carson Kreitzer’s Lempicka (Williamstown), Caryl Churchill’s Light Shining in Buckinghamshire (New York Theatre Workshop), Marco Ramirez’s The Royale (Old Globe, Lincoln Center), Bess Wohl’s Small Mouth Sounds (Ars Nova, Off-Broadway, national tour), Sarah Gancher’s I’ll Get You Back Again (Round House), and multiple collaborations with Taylor Mac including The Lily’s Revenge, Act 2 (HERE); and with Chris Thorpe, including Confirmation and Status. Chavkin is a recipient of a Tony nomination for Best Direction, three Obie Awards, a Drama Desk Award, multiple Lortel nominations, two Doris Duke Impact Award nominations, and the 2017 Smithsonian Award for Ingenuity along with Dave Malloy.